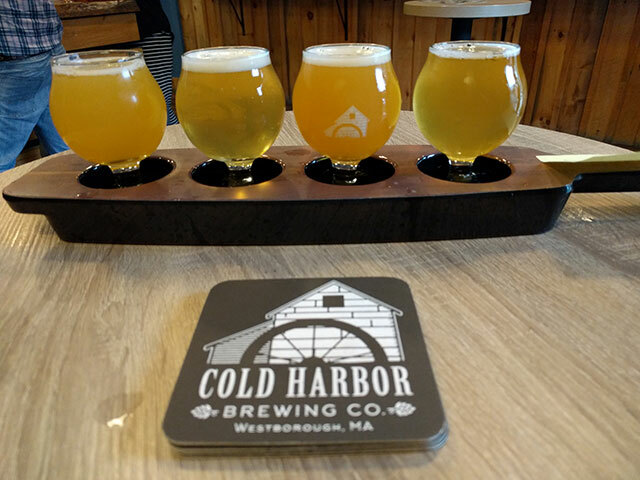 Stopped in at Cold Harbor brewing a few Fridays ago to grab a flight and check it out. Cold Harbor is an eloquent nanobrewery, containing everything necessary, and nothing more. Beer, pretzels, and friendly service. Pants and Fizz approve this message. Where is Cold Harbor Brewing located? Right outside of Westborough center, 10 minutes from the Mass Pike and Rt. 495, and less than half an hour to Worcester. 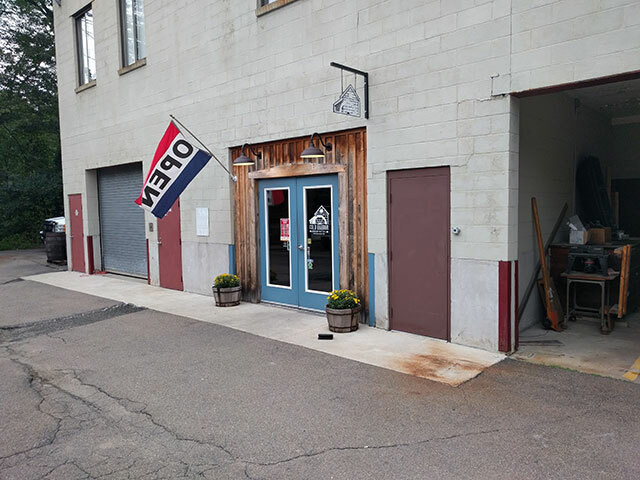 When you arrive, make sure you drive down and around the back of the building to get to the tap room. Plenty of parking is available. Cold Harbor opened in 2015. It’s a small, but dedicated operation. It certainly isn’t on the scale of Jack’s Abby, but what really is? Friendly folks free from work, fond of Friday fun. Probably not? Forgot to ask while I was there. I’d imagine so. Though, be warned, there is nothing for your kids to do there, so bring some games for them. What types of beer does Cold Harbor brew? IPAs, DIPAs, Saisons, Pale Ales, Wheat Beers, and more. The beer was good. 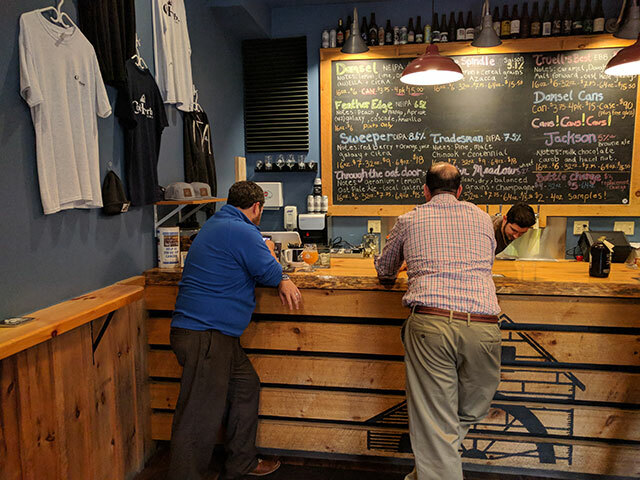 I enjoyed the Feather Edge (NEIPA | galaxy, cascade, and amarillo) and Stone Spindle (Saison | azacca, cereal grains, and lemon) more than the Damsel (NEIPA) and the Water Meadow (Wheat). That’s not to say the other two were bad, just personal preference I suppose. Overall, I would put Cold Harbor beers just under something like Springdale, almost like a younger brother with similar genes that is just trying to catch up. The Damsel, Water Meadow, Feather Edge, and Stone Spindle. Yes to flights and growlers for sale. You can even buy a case of the Damsel for $90. Didn’t see one, so I am guessing that is a no. T-shirts and hats. Probably tasting glasses as well. Does the microbrewery serve food? Bar snacks. Pretzels when I was there. They have an events section on the website, but nothing listed at the moment. No bar games or otherwise. Can I buy Cold Harbor beers in stores? They have a few picnic tables outside to sit on, but the atmosphere is a bit lacking. Overall, it was a good experience. Tasty craft beer, nice tap room, super friendly bartender. If you are in the Metrowest/Central Mass area, you should give it a shot.